Georgette’s career in real estate commenced over 8 years ago with the Ray White group where she worked as a sales consultant and area manager for the local Albury franchise. Georgette worked for the Ray White group for over 4 years and during this time she was awarded membership of the exclusive Alan White Club for elite performers after having achieved an outstanding level of sales and performance. After having experienced the operations of a large national franchise office, Georgette moved to work with a smaller local independent agency. Georgette again worked as a sales consultant and specialist where she remained for over 2 years and was able to gain experience of working within a smaller localised agency. 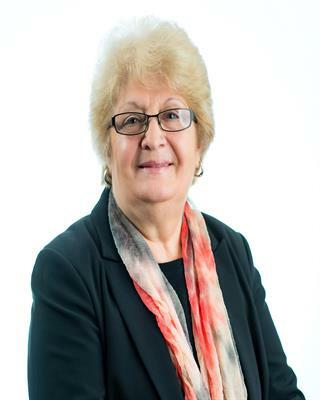 Having worked and experienced both ends of the spectrum of real estate agency practice, Georgette saw her next move as a natural progression of applying the knowledge, training and experience of a large franchise with the more personalised service of an independent through the opening her own real estae agency. With total property sales exceeding a value $80 million over the past 8 years, Georgette is well qualified as a sales specialist to list and sell all types of real estate for clients from all walks of life. Prior to real estate, Georgette owned and operated various businesses in Albury for over 30 years including a very successful interior decorating business. This has allowed Georgette to develop a large database of contacts and clients throughout Albury and Wodonga and surrounds and has given her the experience and versatility to deliver a caring, honest and respectful approach to customer service.